Google's upcoming Pixel event today has been spoiled nearly from A to Z, but there's a bit of a difference between leaks coming from outside sources and small missteps inside the company that officially confirm unannounced devices. That's the case with this new promo on the Play Store, mentioning the yet-unofficial Google Home Hub. The Home Hub, Google's own take on Assistant Smart Displays, has been leaked several times already. We know what it will look like, we also know it won't have a camera (unlike the JBL Link View and Lenovo Smart Display) and that it will likely cost $149. 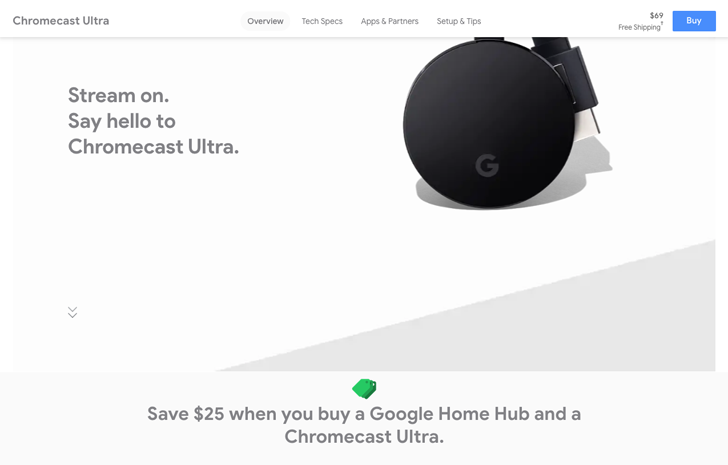 What this new promo confirms to us is that the Home Hub will be available to (pre-)order immediately today, and that you'll be able to take $25 off the price if you buy it with a Chromecast Ultra. 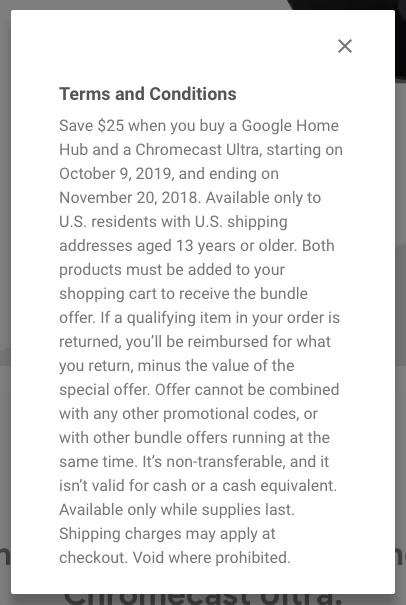 Now to be clear, this isn't a superb deal on its own — we've seen $20 off the Ultra many times before, and even $39 off once — but if you are planning on getting a Home Hub and Chromecast Ultra today, you won't say no to a discount, no matter how small. There's no other mention of the Home Hub on the Google Store, so that's all we know for now.